• ArgoGlobal made a yearlong commitment to The Sick Children’s Trust. From cricket tournaments to Christmas carol services, employees came together to help raise money for the recovery of sick children by supporting their whole families. 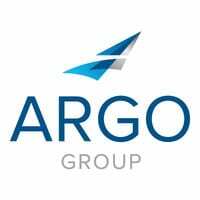 • When Hurricane Harvey hit Texas, Argo Group employees in the state volunteered at area shelters and delivered supplies, while others helped clear out damaged homes. In San Antonio, employees also assisted those affected by the hurricane through their United Way contributions. • Argo Group employees in San Antonio partnered with Family Service Association, a non-profit group in the city, to deliver meals to some 250 families this Thanksgiving. • Argo employees in Singapore volunteered with a local organization to provide safe residential care to girls from broken families. • Argo employees in São Paulo took on a major role in a food drive to help feed hundreds of their homeless neighbors. • Argo Group made a $10,000 matching sponsorship to Power Grants to support two Brooklyn robotics teams. One of the teams is from George Westinghouse Career and Technical Education High School. The other team is from Transit Tech Career and Technical Education High School. The grants will support the teams financially and encourage their communities to invest in STEM education programs. Check out a complete list of the activities Argo Group and its employees carried out to secure the future for the communities in which the company and its employees live and work.